Home Editorial Has The Election Already Been Stolen For Romney And Ryan? AFRICANGLOBE – For at least the past four decades, the American election process has been controlled by corporations and agents connected to the Republican Party. This year’s “contest” is no different. Voter suppression campaigns have been underway across America, by Republican operatives. Nothing is being done to stop it. Mitt Romney has direct ties to voting machines. His son, Tagg Romney (who wanted to punch Barack Obama in the face) and a cadre of former Bain Capital business partners are owners of Hart Intercivic, whose voting machines are used in all fifty states. And this is just one of the many companies with ties to the right-wing, which include Diebold, ES&S, and Sequoia. In 2004, Diebold’s Walden O’Dell promised to “deliver votes” to George W. Bush. His machines did, stealing what should have been a John Kerry win. To this day, American democracy remains privatized and hackable. Nothing has been done about it. Theft continues unabated. The few investigators who keep bringing exhaustive factual evidence of vote fraud to light have been attacked as “conspiracy theorists” by corporate media gatekeepers, and ignored by officials. These same accusers have refused to lift a finger to verify any of the facts. The “progressive” establishment Left has joined in this cover-up. The Democratic Party-affiliated Center for American Progress, and its site ThinkProgress, recently attacked reporter Brad Freedman for raising questions about Romney’s ties to voting machines. Why is the establishment Left dissuading their own constituents from waking up? Going back to the days of COINTELPRO and Operation Mockingbird, the Left gate keeping apparatus has long operated as a system of controlled dissent, offering channels to express certain ideas, but smashing down factual truths that are deemed truly threatening to their agenda. The notion that American democracy—the vote—is thoroughly corrupted is such a threat. Unfortunately, it is the fact. Nevertheless, we find the liberal consensus still pushing illusions and naïve ideas. Obama is still portrayed as a populist hero, despite his Bush/Cheney-esque record. The Democrats continue to urge their followers to believe that turnout and early voting solve everything. But what if those votes are not counted? If the machines counting the votes are controlled by Republicans and Romney/Ryan, the game may already be over. With a few clicks of a keyboard of a Hart Intercivic machine (Tagg Romney could even do it himself), the White House is seized, just as it was in 2000 and 2004. Simultaneous with a vote-rigging apparatus in place for the Republicans, the corporate media—dominated by the corporate right-wing— has gone out of its way to give Romney and Ryan a free pass in news coverage. Corporate media is ignoring their unsavory backgrounds, and ignoring the clear dangers of their policy agenda, and also ignoring the neocon fanatics advising the campaign. Tax returns that contain the history of his dirty schemes at Bain Capital are not the focus of critical investigation. Countless Romney/Ryan campaign blunders, embarrassing debate losses and pathological lying have not slowed down their momentum. Many polls continue to put Romney in the lead. Some polls even put Romney ahead of Obama among women, despite his outrageous misogyny. It is impossible to believe that these numbers correlate with realities on the ground. Clearly the illusion of a close election is being created, in order to provide political cover for vote theft on November 6th. As demonstrated in 2000, close elections are easier to steal. The parallels with the stolen election of 2000 that installed Bush/Cheney in the White House are clear, and palpable. The larger political situation is also eerily similar. Coming off of a period of neoliberal place-holding under Clinton, it was time to hand the controls over to Washington’s most hawkish right-wing enforcers, in order to start the war for oil (9/11, Afghanistan, Iraq) in earnest. A Romney/Ryan administration will deliver a return to neoconservative rule—this time for the wars in Iran and Syria, and to impose austerity programs domestically—with militant messianic fervor. 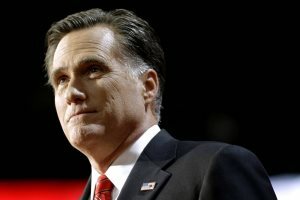 The arrogant and malleable Mitt Romney, a suit as empty as George W. Bush, is the perfect man for the job. Ryan, a peevish and sadistic ideologue is also an ideal “enforcer”. If Romney/Ryan wind up winning the election, the world would be subjected to Bush/Cheney on steroids, with an extra element of fanaticism from the messianic Romney, and Ryan, the right-wing Christian extremist. Finally, the list of neocon extremists being considered for a Romney/Ryan cabinet promises unmitigated war and destruction. It must also be noted that in 2008, the right-wing corporate elements—spearheaded by Bush/Cheney—triggered the financial collapse, at least in part to saddle the incoming Obama administration with problems that virtually ensured the present-day no-win political situation for Obama. Taking cues from the likes of the malodorous Mitch McConnell, the American right-wing has sabotaged the Obama administration from the minute Obama took the oath. Anything to get the “Kenyan communist Black” out of the White House. The behavior of Republicans and the Romney/Ryan camp in the wake of the 9/11/12 attack on the American embassy in Libya remains highly suspicious. Salon reported high-level Republicans gloating and “chortling” by high ranking Republicans that the attacks have turned Obama “into Jimmy Carter”. See: GOP’s October Surprise. Regardless of how devotedly the Obama administration has faithfully and seamlessly continued and expanded the Bush/Cheney corporate and war agenda, the American neocons have done everything possible to keep Obama’s “leash” very short to begin with. Now they are yanking on it. Hurricane Sandy is blasting the eastern quarter of the United States, shutting down entire regions. If power is not fully restored to the affected states by November 6th, the election will be thrown into doubt. Any election result could be challenged. In this nightmare scenario, the election could be decided, as it was in 2000, by the Supreme Court, which criminally installed Bush/Cheney to power. A Romney/Ryan victory would be assured. It remains to be seen whether the worst-case scenario suggested by this piece will take place. However, every human being must nevertheless prepare for the trouble that will come after November 6, 2012, whether the White House occupant will be Obama or Romney/Ryan. As previously written, humanity loses, no matter who “wins”. But if a spectacular Romney/Ryan criminal event manages to steal the election, a special alarm must be sounded. It would signal the start of a new phase of unprecedented imperial criminality and violence.